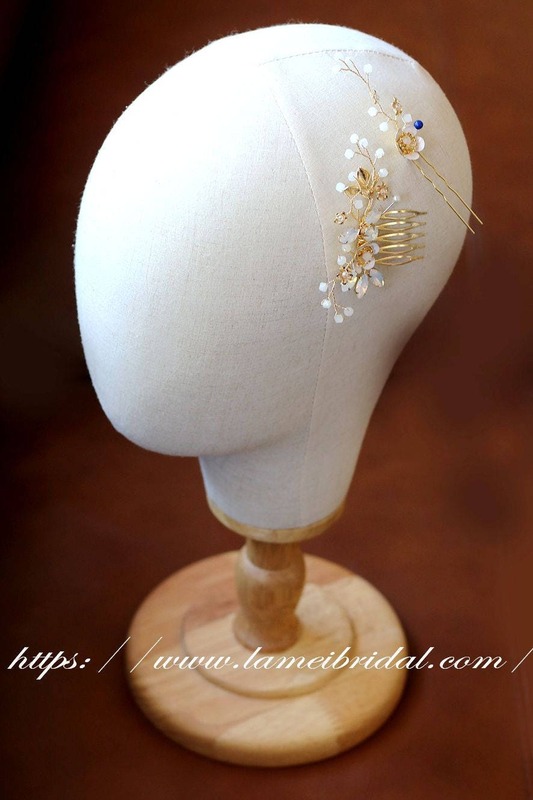 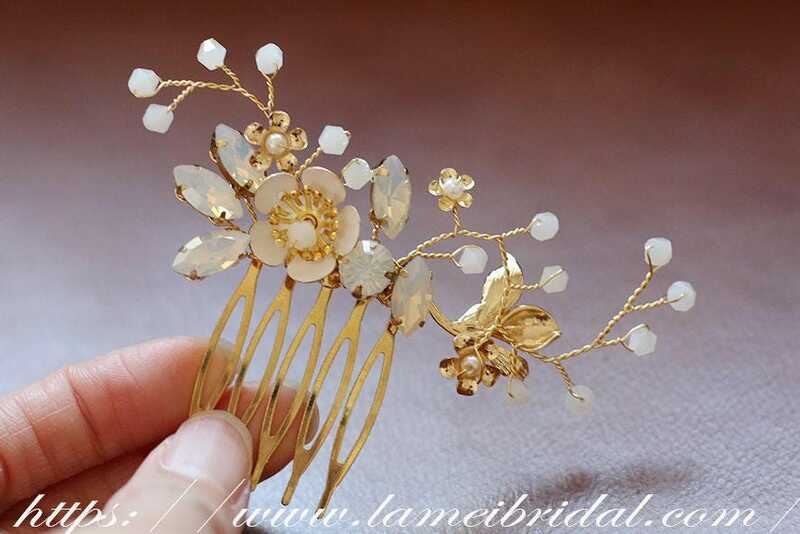 Golden hairpins are handspun with tiny leaflets,small flowers,rhinestone and pearls. 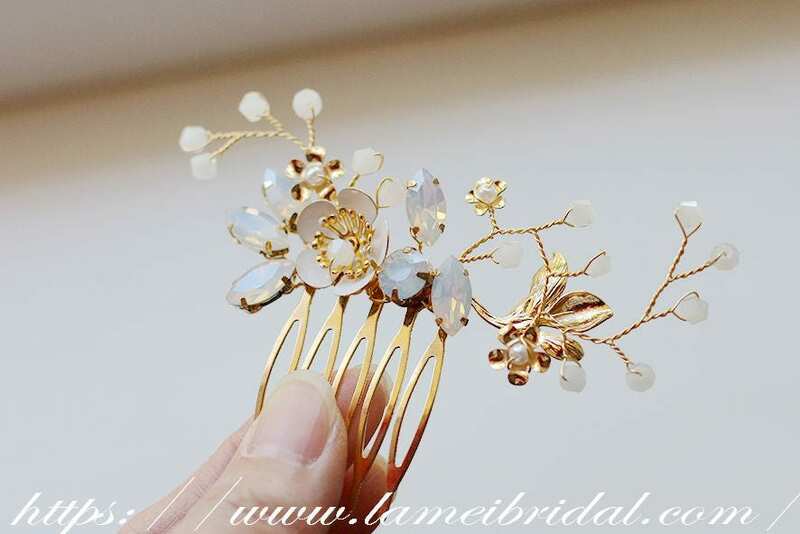 These delicate hairpieces tuck beautifully into a goddess-inspired updo. 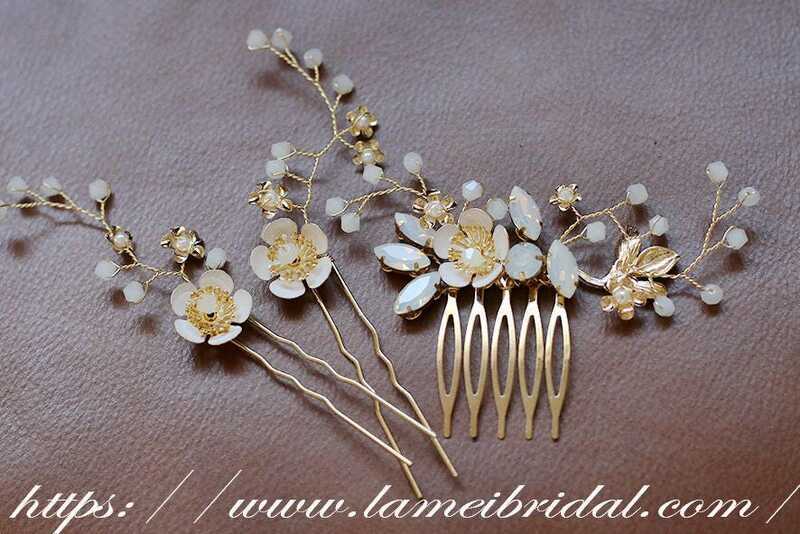 Wear one or a few in your hair for different looks. 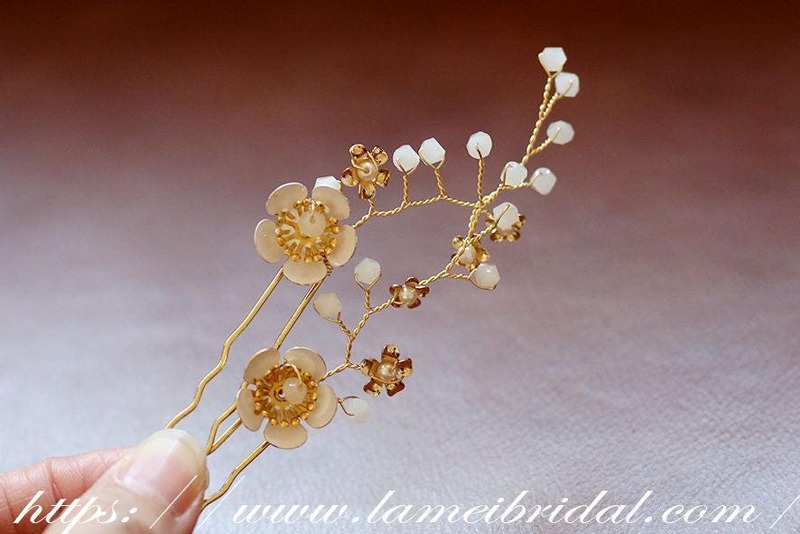 The price is for one hair pin.